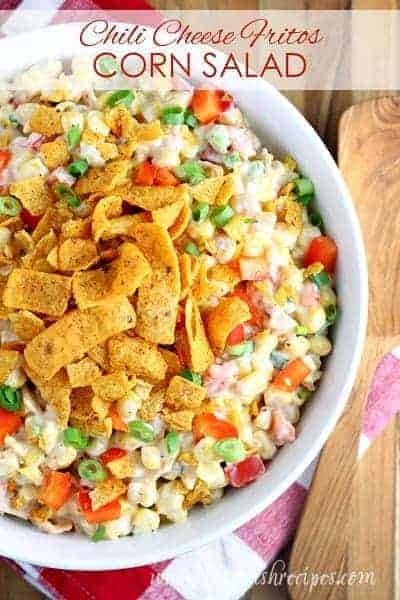 CHILI CHEESE FRITOS CORN SALAD — This unique, creamy corn salad is loaded with shredded cheddar cheese and Chili Cheese Fritos! 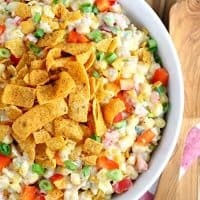 As a big fan of Chili Cheese Fritos and crunchy things in my salad, I knew I was going to love this Chili Cheese Fritos Corn Salad the minute I saw it. I was not disappointed! And it’s so easy to make! The hardest part was not eating the entire bag of Chili Cheese Fritos before I added them to the salad. 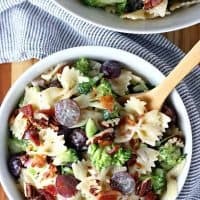 I’m not a huge fan of canned veggies, so I usually use frozen, but after making this with both frozen and canned corn, I actually prefer it with canned. 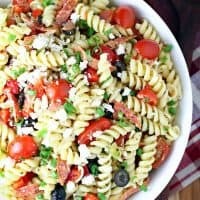 You can also use green pepper and red onion for a slightly different but equally delicious flavor. Or try adding some diced jalapeno if you want to spice things up a bit. You can also use regular Fritos in a pinch, but the chili cheese version adds so much great flavor. I highly recommend it! The most important tip for making this salad: don’t add your Fritos until just before serving or they’ll get soggy. And soggy Fritos are just sad. 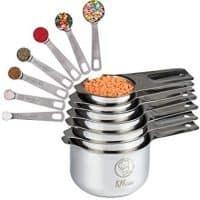 Everything else can be mixed up ahead of time and kept in the refrigerator. If your salad seems a little dry after adding the corn chips, just stir in a bit of extra sour cream or mayo. 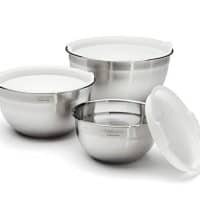 And don’t worry about the leftovers getting soggy, because their won’t be any! 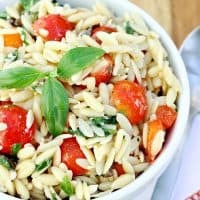 This is such a great summer salad! It’s the kind of thing that gets devoured at backyard barbecues and potlucks. Plan on getting lots of requests for the recipe. 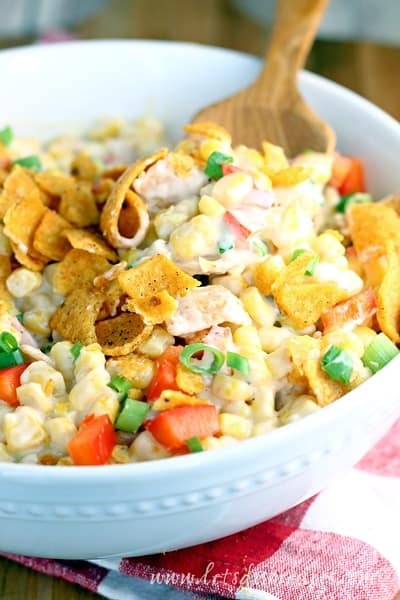 Be sure to save this Chili Cheese Fritos Corn Salad recipe to your favorite Pinterest board for later. 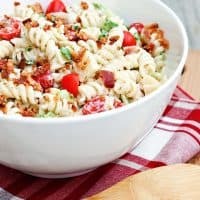 Rotini is tossed with tomatoes, crispy bacon, Swiss cheese and Romaine lettuce and a Ranch inspired dressing in this pasta salad loaded with all the flavors of a classic BLT sandwich. 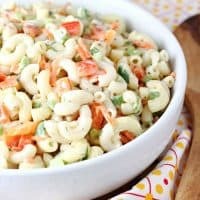 This classic macaroni salad, with a mayonnaise and vinegar based dressing, is loaded with fresh vegetables and herbs. 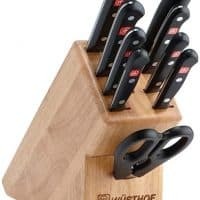 Perfect for summer potlucks and barbecues. Who Dished it Up First: This is a Paula Deen recipe. Who else would thing of putting Chili Cheese Fritos in a salad? 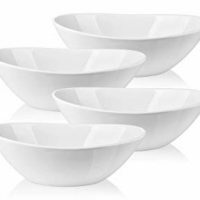 I was looking for a variation of Paula Deen’s Corn Salad recipe. Thank you! I noticed your recipe does not call for cheese. An interesting note: Several times when I made Paula’s recipe I FORGOT to add the cheese, and found out I liked it better without cheese! I am making your recipe this weekend. My mistake. Your recipe does call for cheese. I still like Corn Salad better without cheese. Just fixed this for my son and me for lunch. Yum! We both enjoyed. Thank yo for sharing! Every time we have a dinner at church, a couple of the ladies make this and it’s ALWAYS delish! 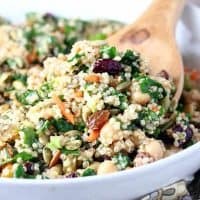 Loved this corn salad even my son who is a picky eater could not get over how good it was.